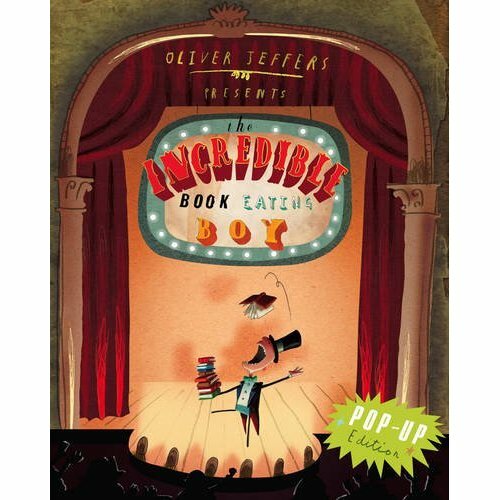 My alltime favorite Kid’s Book, the The Incredible Book Eating Boy by Oliver Jeffers now comes in a old school 3D, a pop-up version! I can’t wait to get my hands on this one! For my London Readers: Oliver Jeffers will be doing a public signing for this book on: Thursday 12th November 4-5pm at The Children’s Bookshop – Muswell Hill 29 Fortis Green Road, London, N10 3HP, 020 84445500. I love this book too. Thanks for the heads up about the signing. I just bought the pop up version yesterday and it’s full of intricate little surprises. Love it!